Hey study group. Guess what? 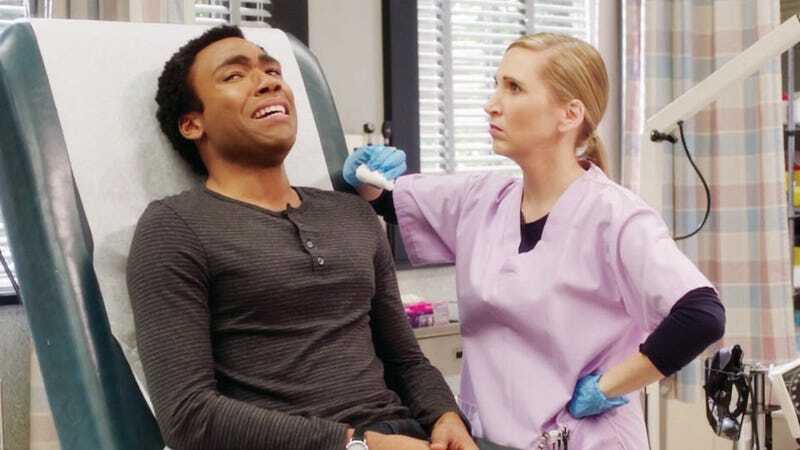 NBC boss Bob Greenblatt is "absolutely hopeful" that your favorite show Community will be back for a 5th season, which would be such a great and uplifting thing to hear if there was in fact a shred of realistic possibility that this could actually happen. I'm mean I'm sure Greenblatt is hopeful about a lot. He's hopeful that Hogwarts is a real place, he's hopeful that Justin Timberlake will put out a new album, he's hopeful that Taylor Swift has found true and lasting love with Harry Styles, but just because he's hopeful of these things doesn't mean that he's betting on them coming to be. Turning his attentions towards NBC's other shows, Greenblatt was asked about Steve Carell possibly returning for the series finale of The Office. His response? "I'm hopeful, but I don't think he will be back." See? His hope means nothing. Quit dicking us around, bro, and let us say goodbye to Greendale with a little bit of dignity.